The division within EA responsible for publishing externally developed games hopes its long-standing relationship with the Half Life and Counter-Strike creator will help seal the deal. Since signing a publishing deal with Valve in 2005, EA's put out Half Life 2: GOTY and Counter-Strike for the PC, and Half Life 2 on Xbox. And, of course, it published the original Portal as part of the superb The Orange Box. Eyebrows were raised when Valve announced a 9th February 2011 release date for Portal 2 during German expo gamescom last week without naming a publisher. Some have speculated that Valve is shopping its hotly anticipated sequel around various publishers as it aims to get the best deal possible. "We're still talking about it," EA Partners boss David DeMartini told Eurogamer. "The interesting thing with Valve is they always make great games. They ship them exactly when they're going to ship them. They're a really high quality partner, and they demand excellence from anybody they have a relationship with. You earn their business every single time. "We're in the process of earning their business yet again for Portal 2, and we're very optimistic because of our close relationship. We do a lot of business on Steam. They do a lot of business with us on the distribution side. "It's well polished, on schedule for the 9th February release. Everything is absolutely on track for them. "I don't have anything signed in blood yet. I'm certainly working on it. They're a great partner and just a great studio. Clearly one of the best in the world. They just know what they're doing. They know what consumers want." 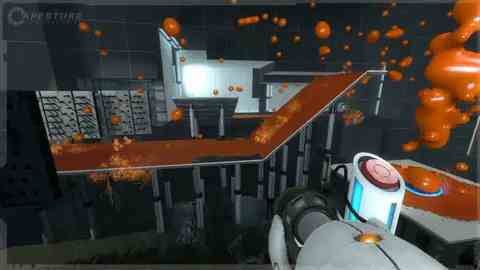 Portal 2 made waves at E3 when Valve boss Gabe Newell confirmed the game for PS3. Christian Donlan saw the game for Eurogamer in June.